With Barbara setting the stage, many of the BIMForum presenters took a deeper dive into identifying where the excess, redundancy and wasted resources are in their firms and projects while highlighting how we can all drive new business platforms help to eliminate these layers, which was the focus of the process track sessions I helped organize and moderate. One presentation titled LEANing Coordination demonstrated the opportunity to apply lean principles and practices to the clash prevention/detection process. 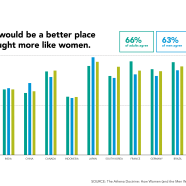 Identifying waste areas like unorganized clash reports, gathering information at the wrong times, defining the level of development needed and “who moves construction elements and systems when,” can be key steps in optimizing the process. The team from Rodgers Builders also shared their coordination pyramid, which drives this LEAN coordination process providing benefits such as; prioritized trade scopes, defined order for model population, avoiding rework in the BIM, schedule ownership from trades and increased efficiency – time/cost. Moving beyond Tocci’s strategic approach to VDC, the team also demonstrated the value of this process in how they installed more than 780 square feet of modular construction every 30 minutes for a 125 unit residential project in Boston. Another key topic at BIMForum was the continued evolution of Level of Development (LOD) and the emergence of Level of Accuracy (LOA). 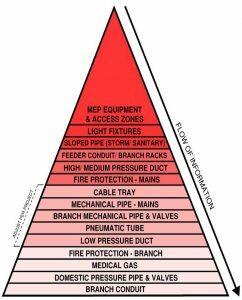 As defined by the U.S. Institute of Building Documentation (USIBD), Level of Accuracy (LOA) enables professionals to specify and articulate, with a high level of clarity, the accuracy and means by which to represent and document existing conditions. To further explore this topic, the USIBD leadership collaborated with our LOD committee to provide insight into why these two concepts are important, as we understand the model can be perfect, but the building is not. More importantly, how do these standards work together to specify the requirements of an existing building conditions model. This also plays an important role clarifying LOD defines what will be done and what we think was done as compared to LOA which covers what has been done. 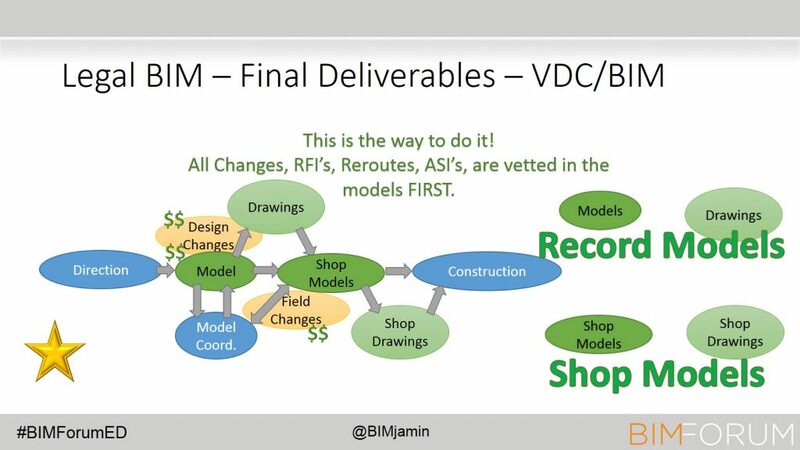 The last major component of the larger project delivery process track at BIMForum was exploring some of the contractual and procedural hurdles with BIM/VDC. Thinking about contract models, and what our final deliverables actually are, was the focus of the “Illegal BIM” presentation by Benjamin Crosby of Yates Construction. Making sure that our contracts outline what is reliable and is being handed over were two key components. 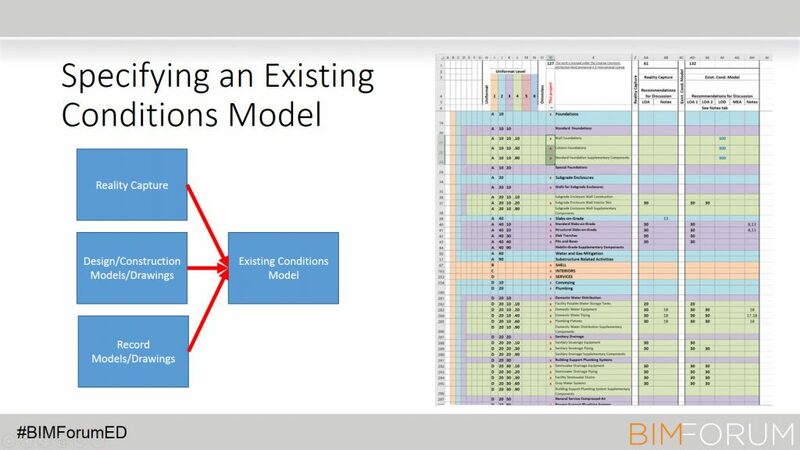 While these are still challenges for the industry, it is critical that our contracts clearly define these outcomes and begin to think about how we redefine our process and final deliverables to respond to this cultural shift in project delivery and move from producing drawings to delivering models. In closing, the presenter provided some consideration for the audience to use when “contracting wisely” such as; not changing the Spearin Doctrine, what design models are reliable, intended use of design and trade models, copyright and intellectual property as well as owner use of models. As usual, the BIMForum conference provided insight to the future direction of the design and construction industry while outlining areas of innovation in our project delivery processes and workflows. I’m excited to share I will be the chair for the 2019 BIMForum event, so any ideas for what you would be interested in hearing more about, please feel free to let me know as I’m starting to develop the call for proposals.